Event Landing pages, Newspaper sites and anything that you can imagine, Invictus theme has you covered. 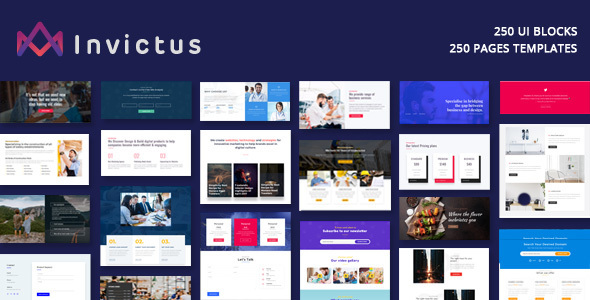 As investing the time required to create a custom website isnâ€™t for everyone, Invictus WordPress theme includes an awesome selection of over 40 homepages. It can be imported into your website in just a few clicks.